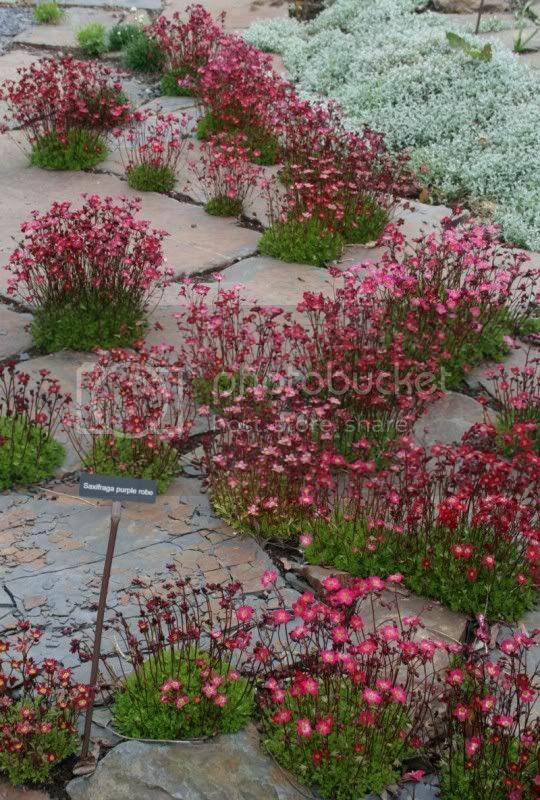 Posted: Sat Apr 16, 2011 7:46 pm Post subject: Saxifrage in bloom. mind me asking, are these from your garden? reason why i ask.... do u label your plants? They're in our front garden. I try to label a lot of the plants because I wouldn't be able to remember their names if someone asked me. I also like the naturalised effect of the paving and vegetation. They are really beautiful. Do you mind me asking how you propagate them ? I have a clump on one pot. These are dead easy to propagate ,,, I just pull a slip from the mother clump, and put in the surrounding soil..i have them in a warm, well drained site, they do better in these conditions. I bought seed from ebay and threw it about in the rocky parts of my back area just on top of the peat and mossy parts hoping it would self seed. Doesn't appear to be a particularly prolific plant as not one made it. Seems these are alpines and do well in sandy and free draining soil. So I will try again under more controlled conditions as this is an amazing miniature plant that once established is fantastic if placed well and thrives in its most desired conditions. I'm open to any other hints from those who grow it well as I'm looking to spread native plants through divisions. Ooops! That's solid wet clay under those sandstone flags. And when I say solid, I mean really solid yellow clay! I was a bit dubious about planting them there but I've a quarter of an acre of sandstone pavement to plant so I just bunged them in. 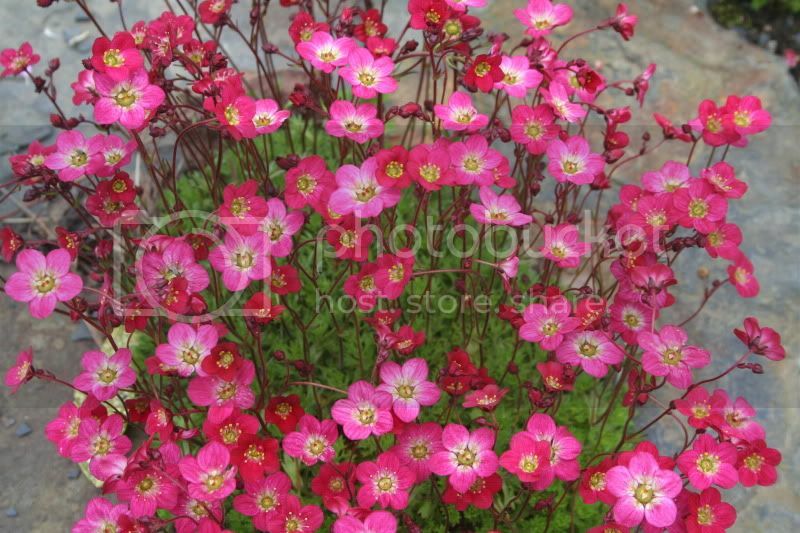 Hi, all my Saxifrages are now in flower with a super display. Can you tell me if I cut off the flower heads when they are finished, will a second burst come along later in the summer?